Noli Me Tangere: The Musical a Hit! 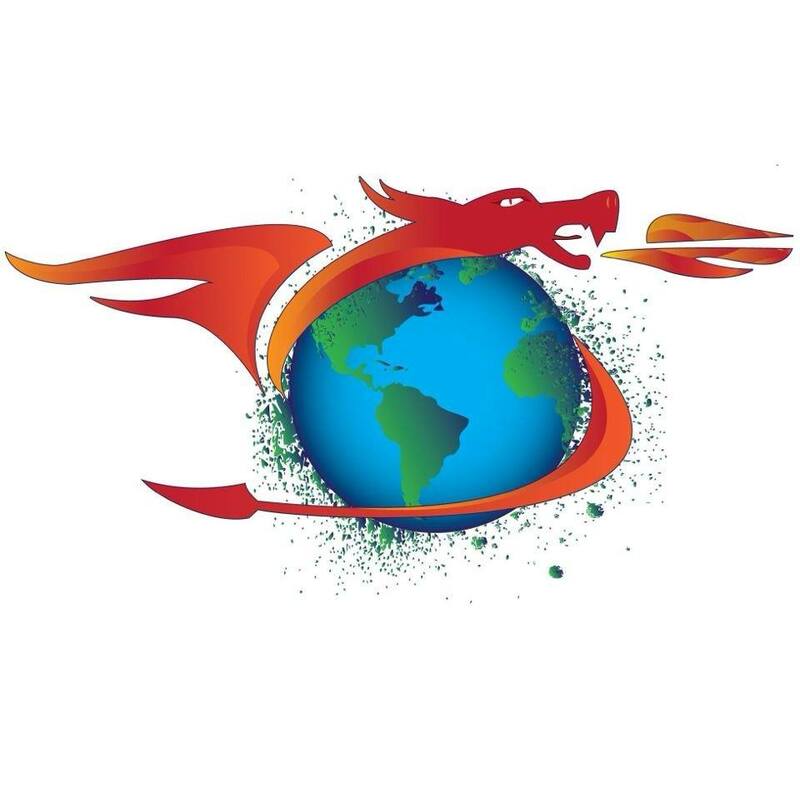 Hollywood CA (Social Dragon PR) July 22, 2015. 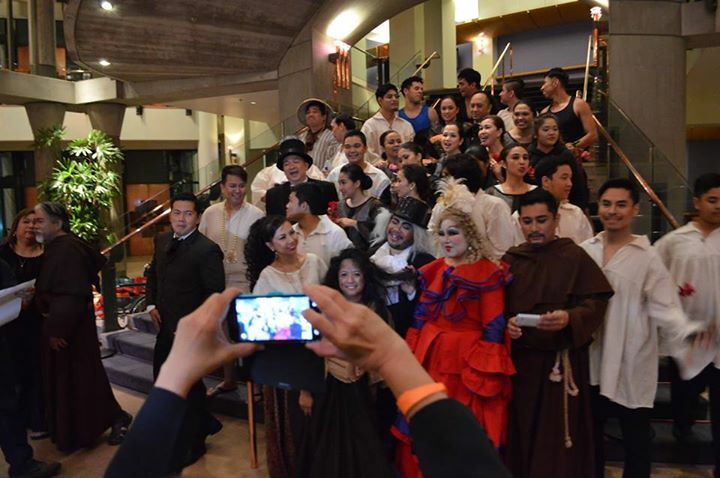 The anticipation was high outside Cerritos Performing Arts on July 11, 2015 before 8PM, Noli Me Tangere The Musical returns in Los Angeles, where Dr. Jose Rizal’s legacy bringing to life and the music from legendary Ryan Cayabyab. Curtains opening: speech from the producer of the show Teatro Pilipino USA, First Act was really dark then the whole casts started singing in crescendo like style and building the momentum. The most memorable characters were Crisostomo Ibarra played by Miguel Vera, a multi-talented singer/recording artist. Miguel Vera’s performance was amazing amazing plus his portayal was believable. Sisa’s portrayal was dramatic tear jerker and made me laugh out loud. A charming Maria Clara with vocal prowess and the ability to command each musical numbers with heart and soul. Kapitan Tiago’s performance with excellent vocal plus unexpected serious and very funny moments througout the duration of the musical. 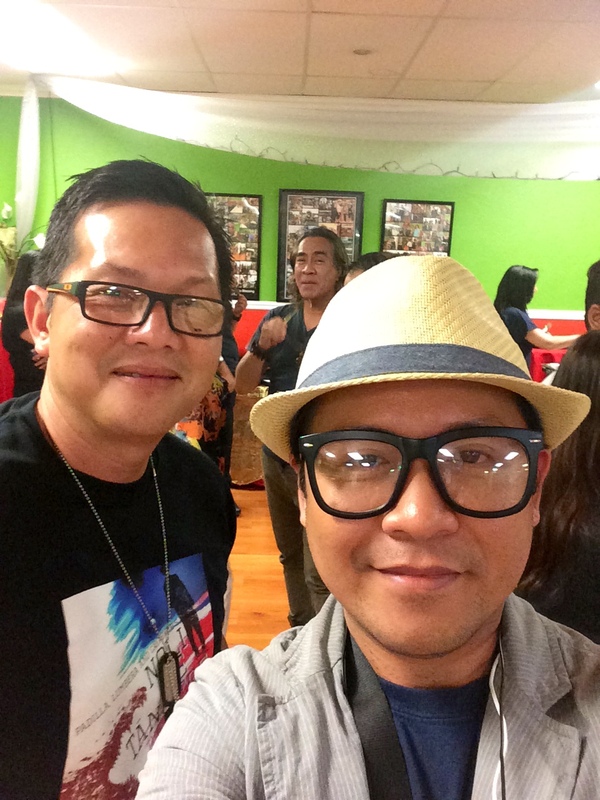 What’s next for Teatro Pilipino USA perhaps debut in a great white way? Heard it in the grapevine international staging in Canada. Hollywood CA (Social Dragon PR) July 02, 2015. Jose Rizal’s novel is widely known as bold and fearless confessions during Spanish occupation in the Philippines. 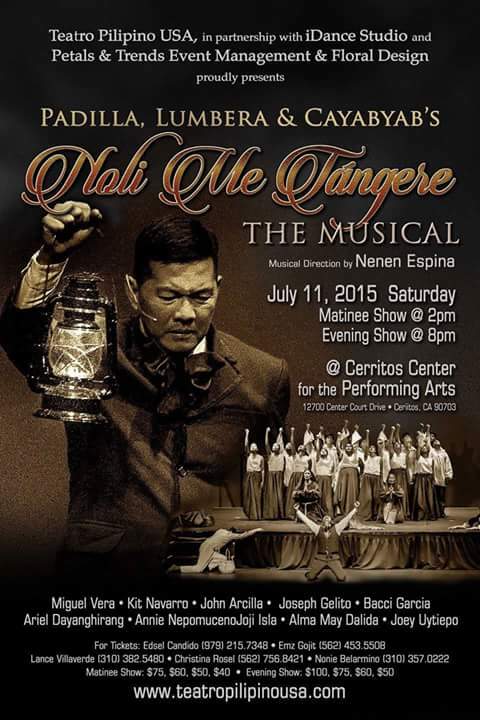 Noli Me Tangere : The Novel is the legacy left by Jose Rizal but Filipino Americans in today’s generation will witness The Musical version this coming July 11, 2015 2PM & 8PM at Cerritos Performing Arts. In June 19, at iDance Studio in Carson during the Press Conference, had a chance getting to know the lead character as well heard the music by legendary Ryan Cayabyab. Here are the reviews after hearing the performance. “Heartwarming and unforgettable perfomances by Sisa & Crisostomo Ibarra portrayed by Miguel Vera’s, his vocal ability was superb and the music by Cayabyab was in pecfection, a must see ” – MJ Racadio of US Press Association. Lets find out what the production team has to say. Production Team: Casting was a challenge because mostly Fil-Ams could hardly speak tagalog, most cast has day jobs, practically we rehearse in the weekends. Miguel Vera said his been a stage actor before recording artist. MJ: This is your second year to portray Crisostomo Ibarra. What preparation do you have for the character? Miguel Vera as Crisostomo Ibarra: No preparations at all but I need to be fit physically and mentally for the character because this is very demanding role. MJ: How do you take care of your voice? Miguel Vera: a lot of sleep. Noli Me Tangere: The Musical will indeed brings the history back to life, legacy by Dr. Jose Rizal. July 11, 2015 at The Cerritos Performing Arts.